While Social Security benefits are typically associated with adults who are of retirement age or who are disabled, the Social Security Administration (SSA) also maintains benefits for children when those children meet certain criteria. If you believe that your child may be eligible for Social Security benefits, or if your claim for benefits has been denied, our experienced legal team at The Comerford Law Office, LLC will represent you. When Can Children Receive Social Security Benefits? The child is older than 18 years old, but has a permanent disability that began prior to age 22. 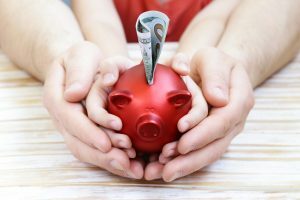 For a family where one parent is deceased, retired, or disabled, or when the child is disabled and the family is of limited income and resources, receiving monthly benefits from the Social Security Administration can be critical for the family’s well being and ability to provide for the child. While millions of children receive Social Security benefits, there are also thousands of child claims for Social Security benefits that are denied regularly by the SSA. If you have a child who meets the criteria listed above, working with an attorney in filing an application for benefits is extremely beneficial. At The Comerford Law Office, LLC, our team knows exactly what the SSA is looking for, and how to improve your chances of your claim being approved. We can also guide you through the appeals process in the event of a denied claim. To learn more about our Chicago Social Security benefits law firm, call our offices today at 312.863.8572. You can also contact us online to schedule a free consultation.